Groups and community projects in the Mearns area are being offered the chance to apply for a share of thousands of pounds thanks to a green energy project. 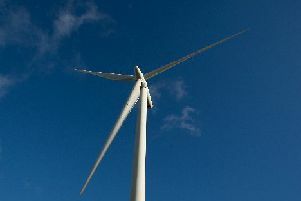 Applications to the Hillhead of Auquhirie Wind Farm Community Fund are invited after the fund opened last month. Applications can be made from groups and projects which benefit the communities living in the council areas of Arbuthnott; Catterline, Kinneff and Dunnotar; Mearns, and Stonehaven and District. Blue Energy, the company who developed the Hillhead of Auquhirie Wind Farm, has established the Community Fund which will see £12,420 per year available to support local community projects during the 25 year lifetime of the wind farm. Funds available this year are even higher than previous years at a total of £25,345. Blue Energy is a independent renewable energy developers who play a vital role in developing and constructing projects that contribute to Scotland’s green energy supply. The fund is now open for applications and closes on June 30. A panel made up of representatives from the community council areas along with a representative from Kincardineshire Development Partnership (KDP) will then meet in August to consider applications and eventually make a decision on who will be a recipient. Application forms and guidelines can be downloaded from the KDP website, www.kincardineshiredp.org, or by contacting the KDP offices at: 3rd floor, 42-46 Barclay Street, Stonehaven. Emails can also be sent to officesupport@kincardineshiredp.org, or phone calls to 01569 763246.